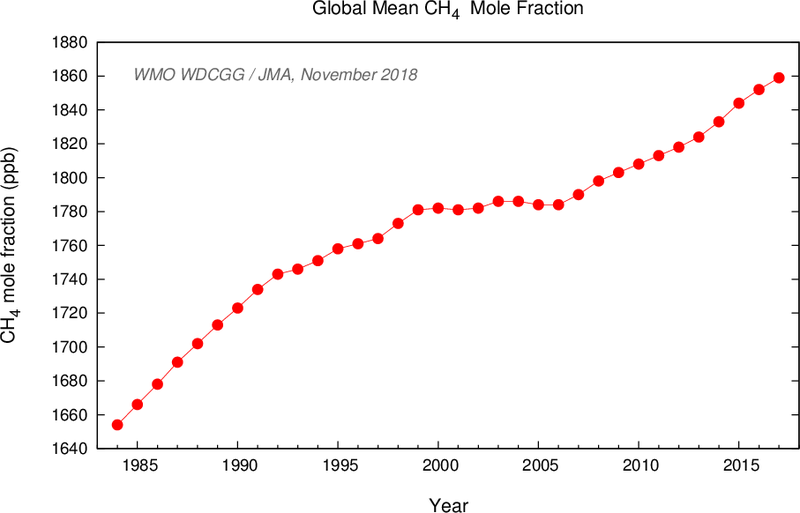 Global mean mole fraction data may be updated retrospectively due to recalibration or other quality control procedures associated with the source data. Such changes are usually minor, but WDCGG recommends using the latest release. 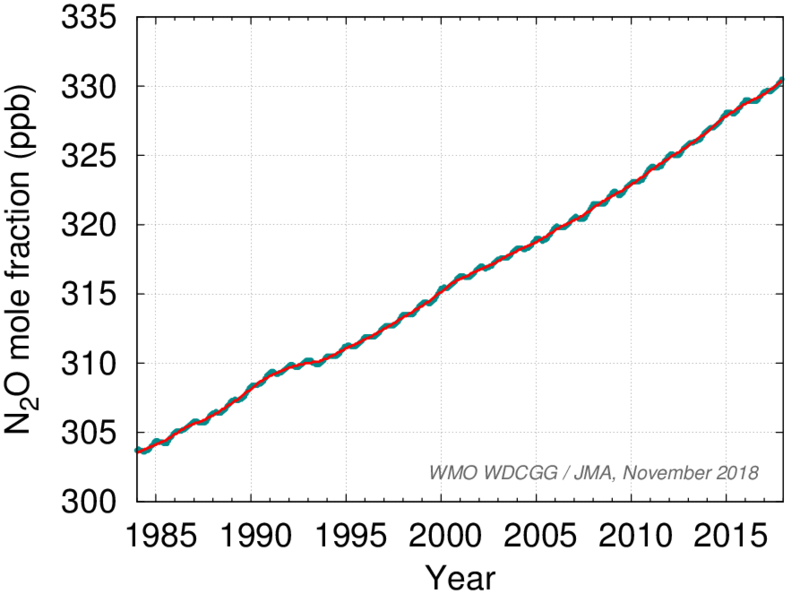 Global annual mean mole fractions of major greenhouse gases (GHGs) from the WMO GAW global GHG observational network. The averaging method is described in (1). Uncertainties (Unc.) represent 68% confidence levels (2, 3). WMO Greenhouse Gas Bulletin No.14, 2018. 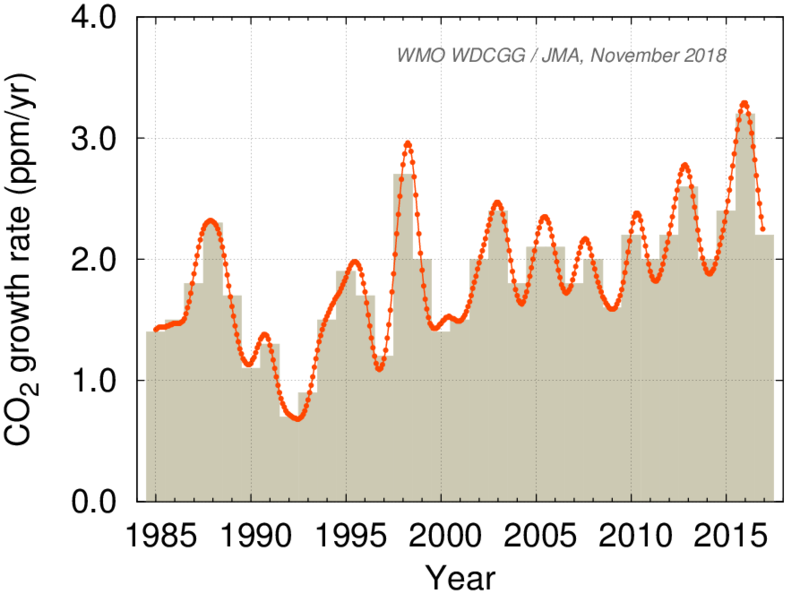 Since 2006, WMO has published annual Greenhouse Gas Bulletins. 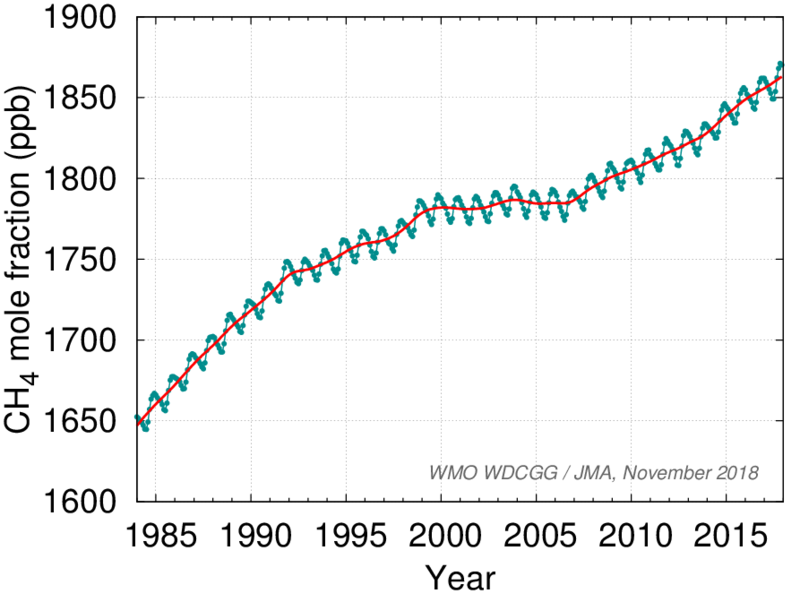 These Bulletins report on the latest atmospheric abundances and rates of change for the main long-lived greenhouse gases (LLGHGs) — carbon dioxide (CO2), methane (CH4), nitrous oxide (N2O) — and provide a summary of contributions from other greenhouse gases. 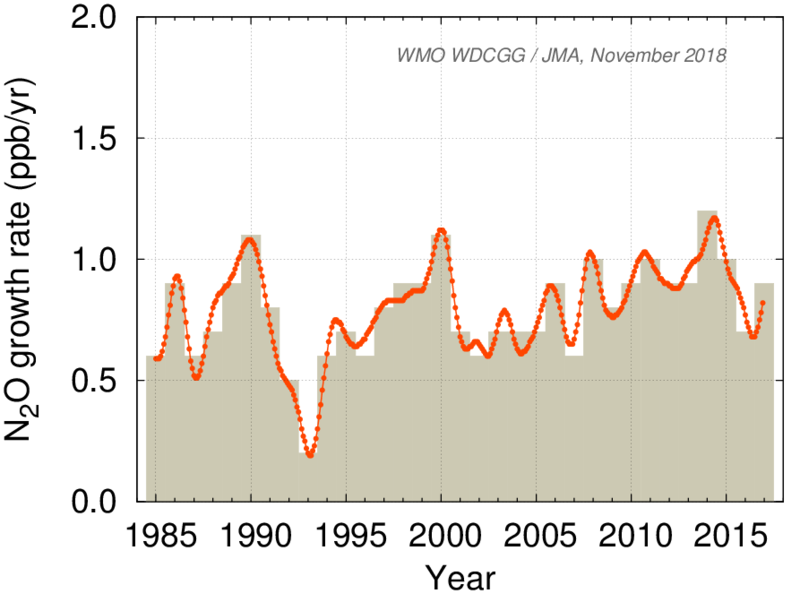 Submission of original observation data from WMO GAW contributors worldwide supports WDCGG's global analysis of major greenhouse gases for the Greenhouse Gas Bulletin. This page provides globally averaged data and graphs for CO2, CH4 and N2O as used in the Bulletin. The information is updated annually based on newly submitted observation data. WDCGG global analysis is conducted after careful screening of observation data exclusively from stations at which WMO-traceable scales are adopted. Details of the analysis are provided in GAW Report No.184(1). 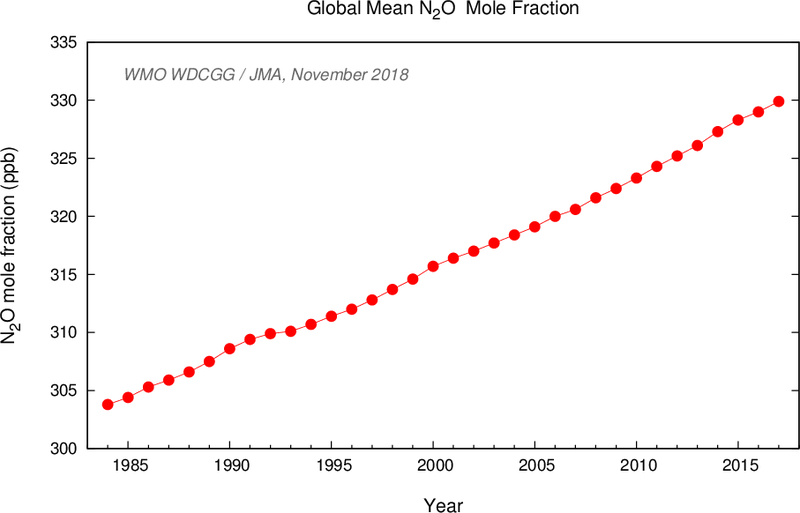 The National Oceanic and Atmospheric Administration Earth System Research Laboratory (NOAA/ESRL; the largest contributor of data to WDCGG) also calculates globally averaged mole fractions for major greenhouse gases(4). The main difference in global analysis between NOAA/ESRL and WDCGG is the site selection process. 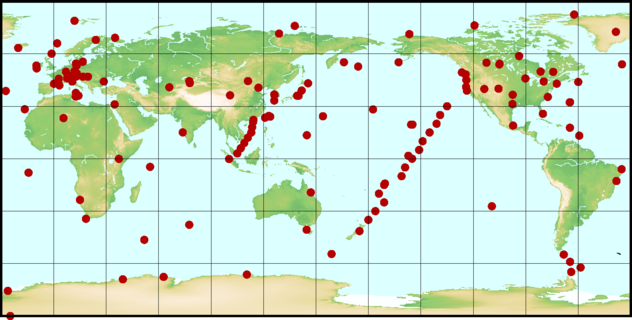 NOAA/ESRL conventionally focuses on greenhouse gas data from the marine boundary layer (MBL) to represent the background atmosphere, while WDCGG also uses data from inland stations(5) after stringent evaluation of their representativeness and traceability to WMO GAW standard scales. 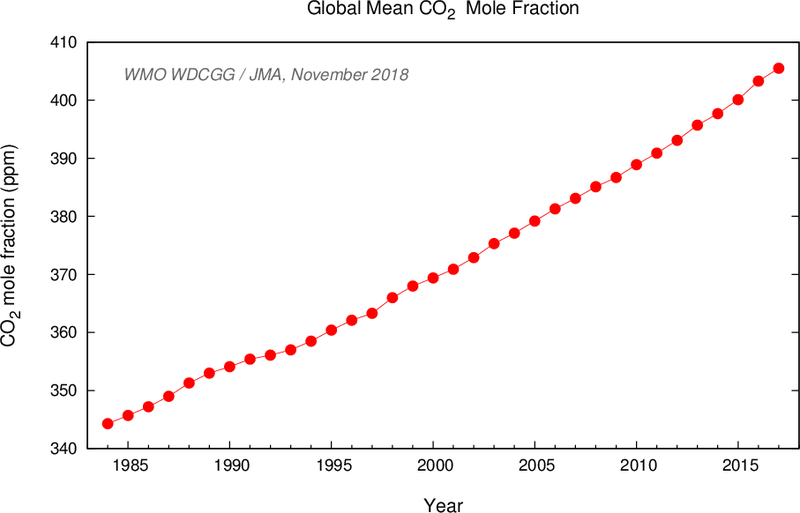 Due to this difference, WDCGG globally averaged mole fractions for CO2 are around 0.4 ppm greater than those from NOAA/ESRL(1). 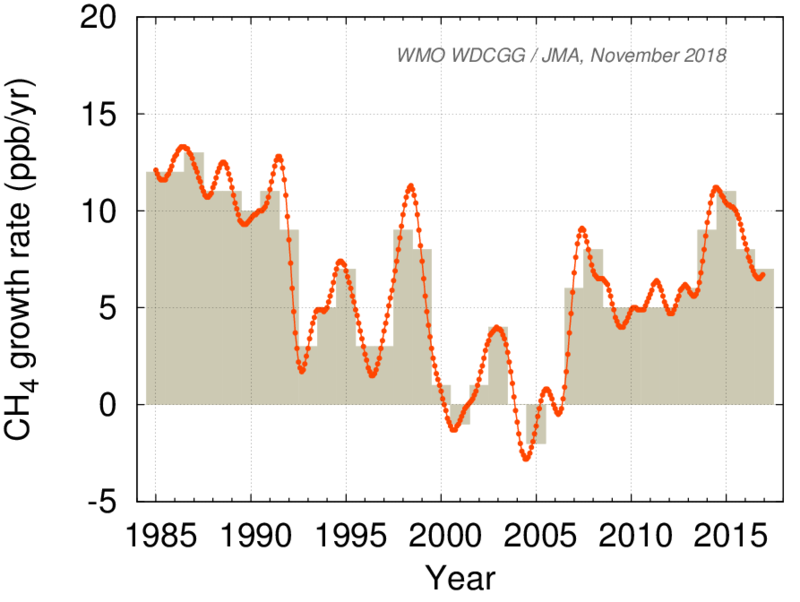 However, CO2 trends and interannual variability are similar with both approaches. 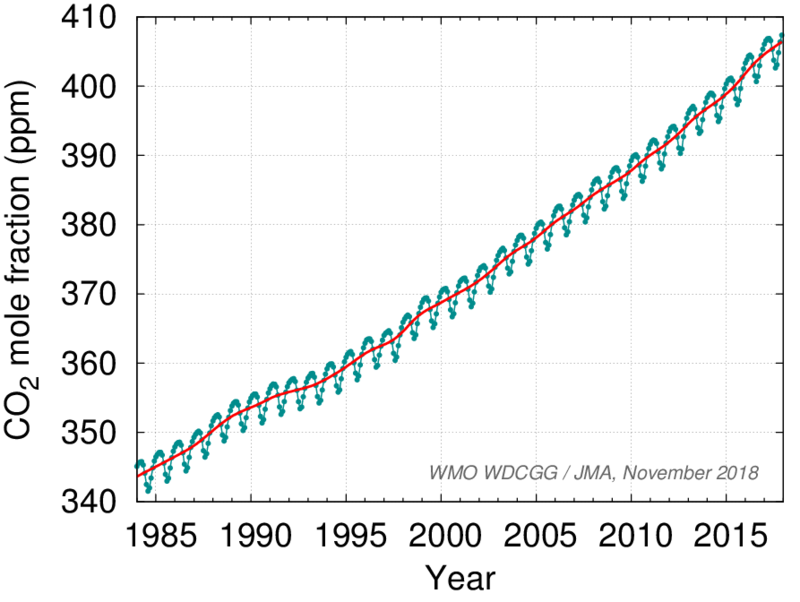 "WMO Greenhouse Gas Bulletin, No.14, 2018." The global analyses can be impossible without the data contributors who conduct accurate measurements and submit the precious data to the WDCGG. The following table contains the contributors of the data actually have been used in the global analyses after screening process. For more information on stations, see the list of contributors and stations. Evidence for interannual variability of the carbon cycle from the NOAA/CMDL global air sampling network, J. Geophys. Res., vol.99, 22831-22855.